With our drop-in form, you can start collecting cancellation reasons within minutes. 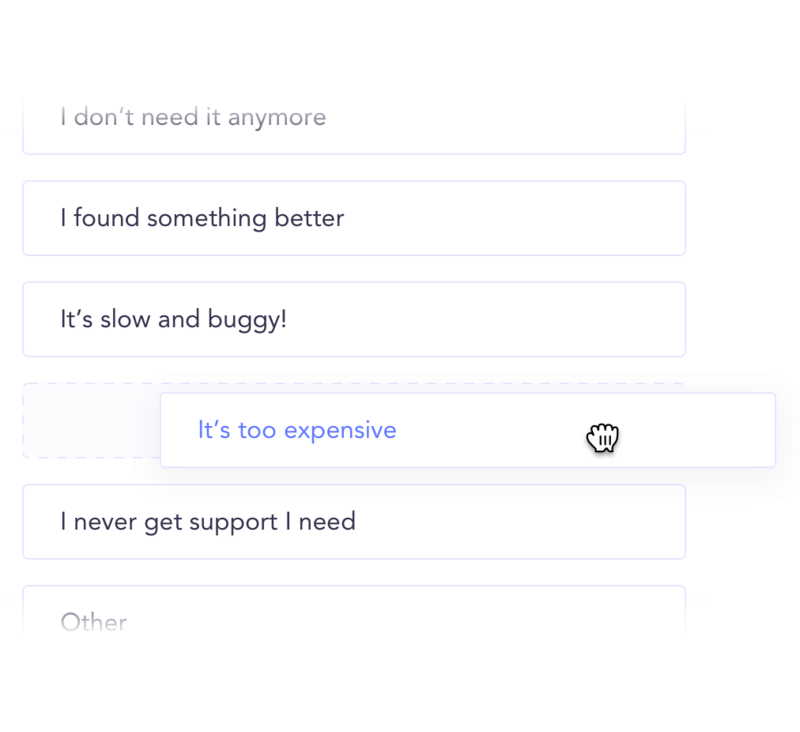 Are your lowest paying customers actually costing you much? Are your infrastructure efforts reducing churn? 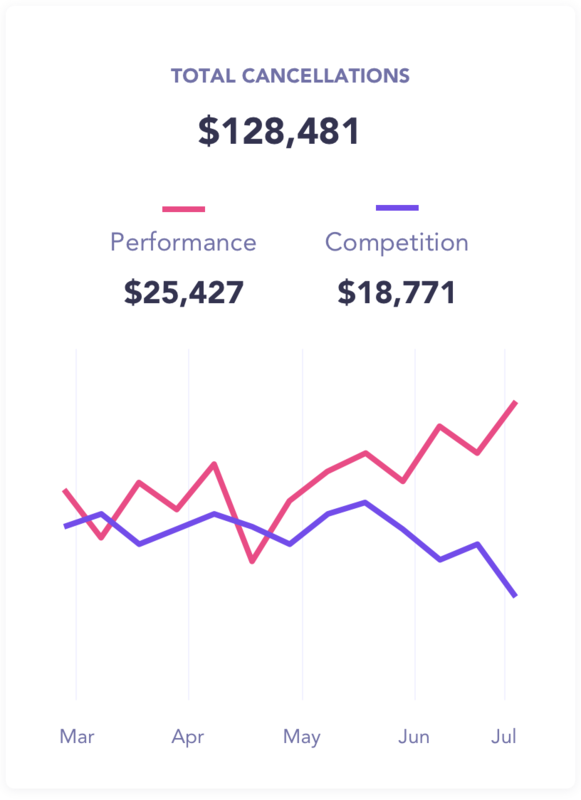 Which competitors are costing you the most money? 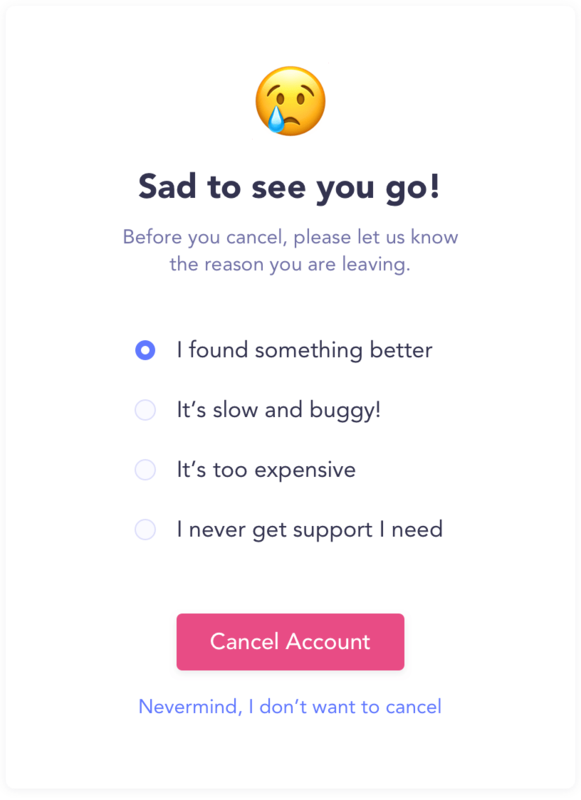 Cancellation Insights tracks all of that and more! Send automated follow up emails based on the reason they cancel. 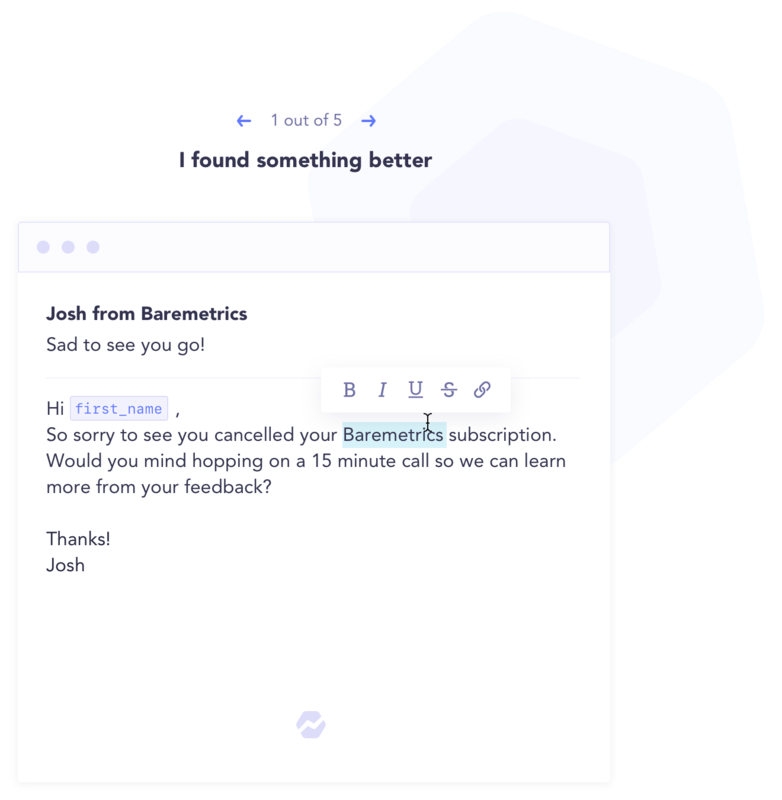 Offer discounts to come back, schedule phone calls and send personalized messages so you can learn even more about your churn. 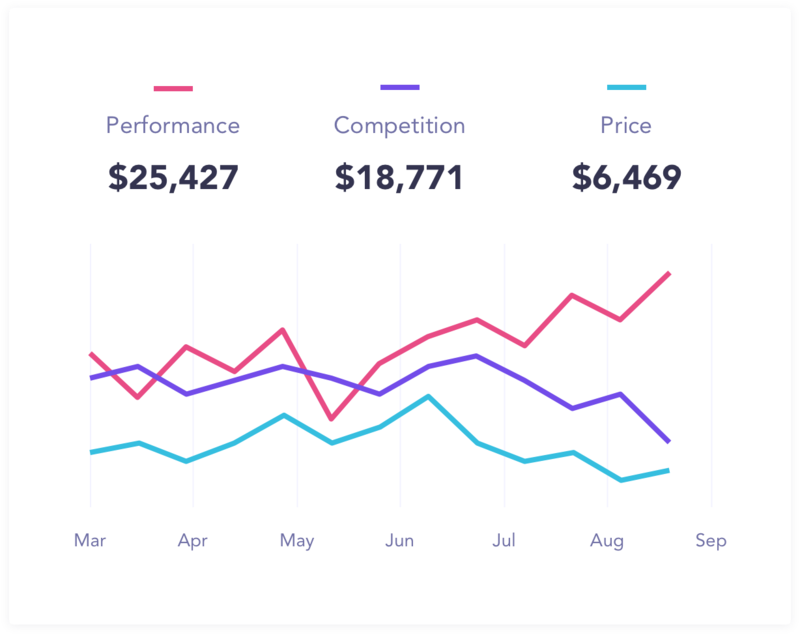 Make your metrics more insightful.